Every athletes wait for the national trials, hoping to see their idols competing; this time fans will be disappontinted. 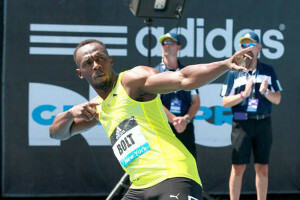 In fact the world champion Usain Bolt dropped out of jamaican trials, where he was supposted to compete in 100m. This year the athlete, holder of both 100m and 200m world records, hasn’t had a good season; he ran in 10″12 e 20″13. His manager hasn’t explained his decision to drop out at short notice; this race was a bid to try out his physical condition toward August’s World Championships. Now we just have to wait the next race, hoping that lighting Bolt will return to compete at very good levels.